Mini motor homes can be an excellent choice for small families, couples, and individuals who want to enjoy the convenience of self contained camping without having to learn to drive a large motor coach. What Are Mini Motor Homes? Built on automotive frames large enough to accommodate most people's camping needs, these recreational vehicles range from 20 to 35 feet in length. The driving area is similar to that of a standard van, and there are sleeping quarters about the cab. Classified as class C motor homes, these types of recreational vehicles are often referred to as cab-over campers. Many camping enthusiasts feel that miniature motor homes are easier to drive and park than the more sizeable models. They are smaller and lighter weight than the larger vehicles, typically ranging from 10,000 to 15,000 pounds. Class C RVs also tend to be less expensive than larger motor homes. Depending on the size, model, and layout, some mini motor homes have sleeping accommodations for up to six people. These units include all the usual RV amenities, including full kitchens, dining areas, bathrooms, stereo and television systems, and more. Outfit them as luxuriously as the largest available motor coaches. Most Class C motor homes have ample storage space, and some even have slide outs to maximize living space. Even though they are a lighter weight than larger RVs, Class C motor homes do have sufficient towing capacity to pull reasonably sized automobiles, trailers, boats, all terrain vehicles, and other cargo. Most RV dealers will have a number of new and used Class C motor homes on their lots. You can choose your recreational vehicle from those available on the lot, or order a custom model from the manufacturer of your choice, built to your exact specifications. You can save a significant amount of money buy purchasing a previously owned RV rather than a new one. Many individuals try to sell their RVs on their own, rather than having to take trade in value when investing in a new unit. You might be lucky enough to find exactly what you want via a listing in the classified ads in your local area. 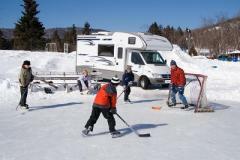 If not, there are a number of excellent resources to locate used RVs outside of your region. 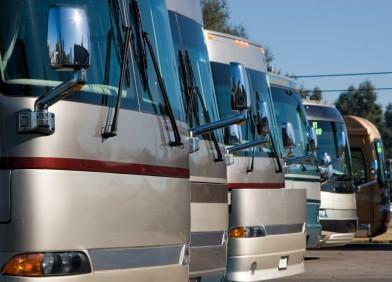 PPL Motor Homes, for example, is the largest consignment RV dealer in America. The company works on behalf of owners around the U.S. to find buyers for their vehicles. You can view a current inventory online and decide if a trip to the facility is worth your time. Camping in a Class C motor home can be a very enjoyable experience. You'll be able to enjoy traveling and camping in comfort and style, without having to operate and maneuver a full size motor home.